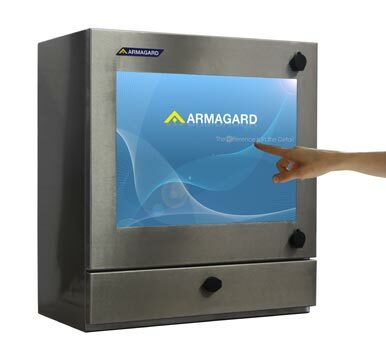 Waterproof Touch screen PC | Stainless Steel Protection of TouchScreen Computers | Armagard Ltd. Protecting PC equipment in clean or wash-down environments, the SENC-450 incorporates a large 21.5" touch-screen monitor, allowing operators to wear industrial gloves, and still operate a computer without a keyboard and mouse. Integrated with a resistive touch-screen, the SENC-450 makes it possible to maintain an undisrupted workflow in factories where electronic hardware would usually break-down or crash, in addition the 450 uses an integrated lockable tray, and is designed from food grade (316) stainless steel, making it ideal wet or humid conditions. 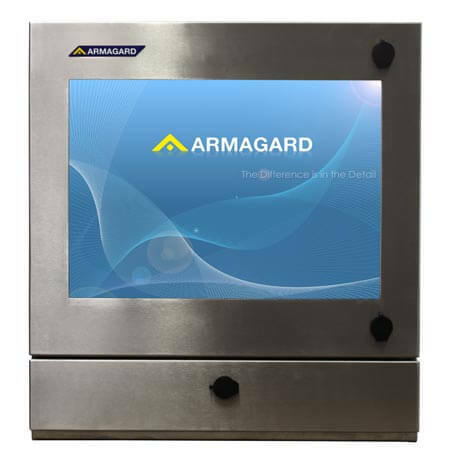 Sealed to IP65 and protecting against dust, dirt, oil, physical impact and theft, Armagard waterproof enclosures are not only great for security and protection, but ideal for wash-down and hygiene sensitive factories that handle medical and food resources. 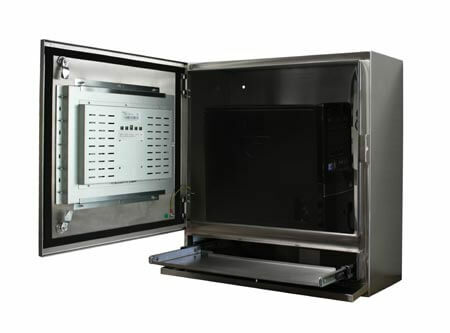 Armagard enclosures offer an all-in-one, functional and robust solution, capable of protecting hardware and extending product lifespan in areas that that would otherwise damage or destroy electronic devices. 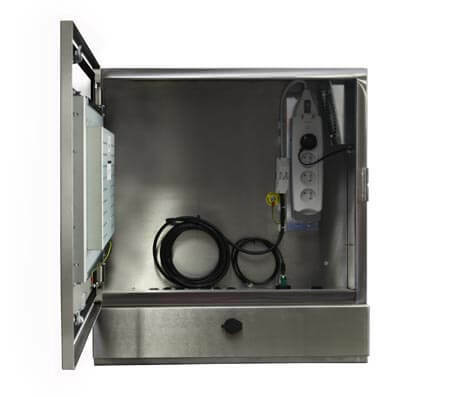 Waterproof to IP65 Enclosures can be jet or pressure washed, without damaging interior equipment. 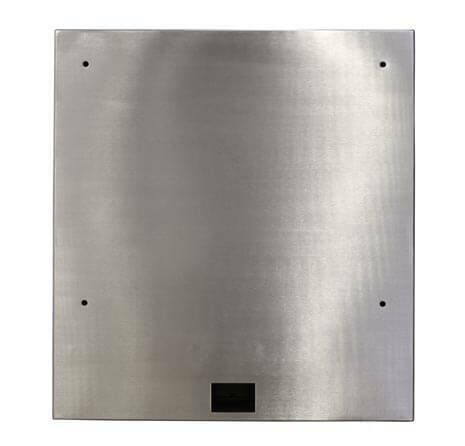 Fits most thin client computers and TFT/LCD monitors (up to 22") Add the computer and screen of your choice, saving you money on buying dedicated machines. Water repellent seals Fitted as standard to the door, locks and window, water repellent seals prevent ingress of liquid from washing and spillages. Surge protected four way mains distribution Prevents electricity spikes from damaging enclosed equipment. Heater & air-conditioning modules (Optional) Allows the enclosure to withstand temperatures from -5°C to +40°C.